Our team has always been a tight-knit group. 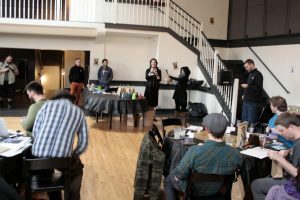 The people that come to work here have a wide variety of passions, but where we all come together is in the way that every member of Portland Internetworks is open to trying new things. 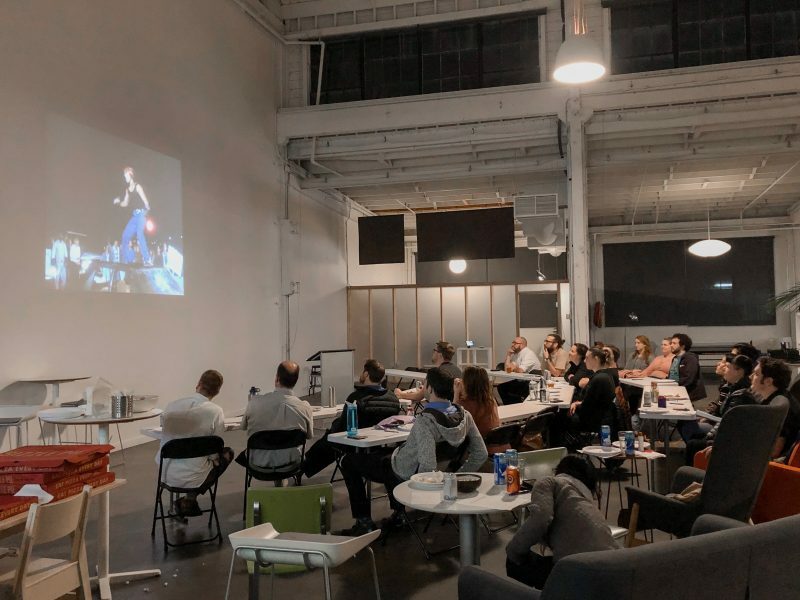 From our social media and this blog, you have probably heard about the many internal events that our company hosts for the team. What we want to begin highlighting are the reoccurring events that members of our staff have taken upon themselves to start! Following this month’s blog and newsletter theme of: “Memberships and Associations,” we feel it is only right to highlight some of our own. Marshall Moll has always had a love for low budget movie productions. From that love blossomed a monthly after-work B-Movie showing for the team, which has steadily become one of the most attended after-hours events we have here. Marshall strays away from norm and cult classics when selecting the films, usually going for the more understated titles. A typical showing at the Portland Internetworks theater involves hysterical laughter and horrible movie plots. The team gathered at the most recent B-Movie Bingo. The most recent film shown, should you want to indulge was China Obrien. Fierce fighting police officer China O’Brien heads home to Park City, Utah to find things aren’t quite the way she left them. Click through for a look at the amazing trailer. The film Marshall selected for us to enjoy this February is Chuck Norris, Top Dog. This one, just by the look of the movie poster is sure to be a riot. Friends and family are always welcome, so shoot us a message if you would like to join in on the fun! Another group that has developed within the pdx.net community is in the role-playing game (RPG) universe. Many of our people, their friends, and loved ones engage in an incredible RPG called Pathfinder. RPGs are an amazing way to spend time with friends and bond. The objective is to come together with self-developed characters and set out on what is known as “adventure paths”. You then work together using strategy and character abilities to overcome different trials. 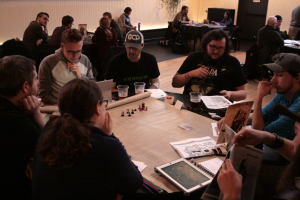 After several people expressed that they already play Pathfinder or were interested in joining, a number of adventure groups formed which led to a lot of after-work fun as a team. A few of our people even bonded with members of The Glass Cannon Podcast (GCP). One of the most entertaining Pathfinder podcasts currently running. To give a small shoutout: The GCP will be in Portland in a few months doing a live recording and we are hosting a massive in-house pathfinder party to celebrate. Contact our team to join in, there may be a few open spots left. Doug, April, and Jason giving speech at last GCP meetup. At Portland Internetworks we believe that the bonds we develop with each other at work, are as important as the bonds me make outside of work. Teams that play together perform better, it is a well-known fact. As well, setting off on journeys through mystical lands; is there any better way to get to know one another? Our people are the pillar of the Portland Internetworks culture. Having each of them share and engage in their favorite activities together is a huge win for the company. How does your team come together when the work day is done? We would love to hear your thoughts.